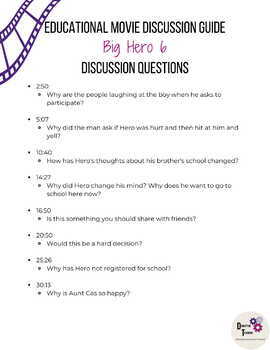 Movie Discussion Guide for the Movie Big Hero 6! 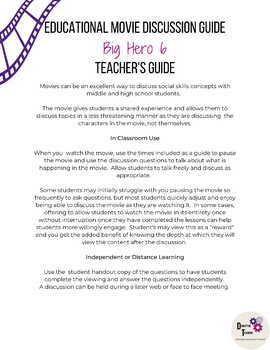 Check out my other animated Movie Discussion Guides for Frozen & Inside Out. Follow my store by clicking the star above to be notified when new content is posted. 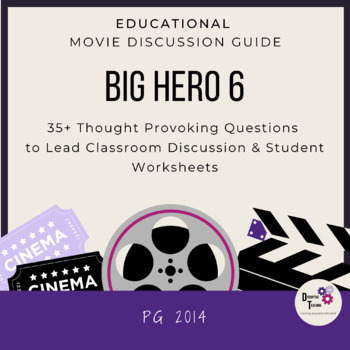 All newly listed Resources go half off for the first week! Don't forget to leave feedback! For every dollar you spend on TpT, you'll earn 1 credit when you leave fair feedback. TpT will give $1 toward future purchases for every 20 credits you earn.